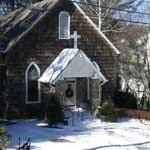 The oldest church on Main Street, built in 1900, is seasonal and multi-denominational. Open Sundays from June through September. A traditional hymn sing begins at 10:30 a.m., followed by a service of worship at 11 a.m. Informal contemporary worship at 11am, preceded by coffee and refreshments at 10:45am. Dress is casual. Excellent children's ministry is available for children through 5th grade during worship. New building located near the intersection of Highway 321 at 194 Aho Road in Blowing Rock. Small Groups meet throughout the week in homes. Rev Ben Carson, pastor. Traditional Sunday Worship 11:00 am,Contemporary Worship Service 9:30 am, Sunday School 9:30 and 11:00 am. Fellowship supper, prayer study, child & youth activities Wednesday beginning at 6:00 p.m. Pastor, Rusty Guenther. Two Sunday worship services May through October,8:45am and 11:00 a.m. November through April,11:00am. Christian education for all ages at 9:45. A friendly welcome to all. Corner of Main Street and Chestnut. Services: Holy Eucharist each Sunday at 8 a.m. and 10:10 a.m.and Wednesday at 12 Noon. Sunday School for all ages at 9 a.m. Sundays. Daily offices are held at 8:30 a.m. and 5:00 p.m. daily, except Fridays. Nursery available on Sunday mornings. The Reverend Richard C.Lawler, Rector.